Copyright: Holman Christian Standard Bible© Copyright© 1999, 2000, 2002, 2003 by Holman Bible Publishers. 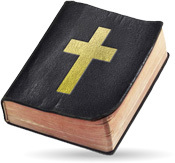 Holman Christian Standard Bible©, Holman CSB©, and HCSB© are federally registered trademarks of Holman Bible Publishers. Used by permission.